At the turn of the 19th century, the US government built six forts to protect the Puget Sound and the naval shipyard at Bremerton from water-based attack. 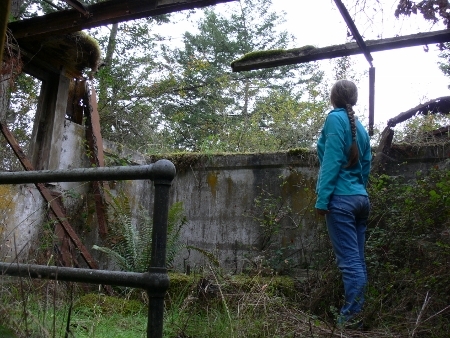 All have since been decommissioned and sold to the State of Washington, and five are now state parks. 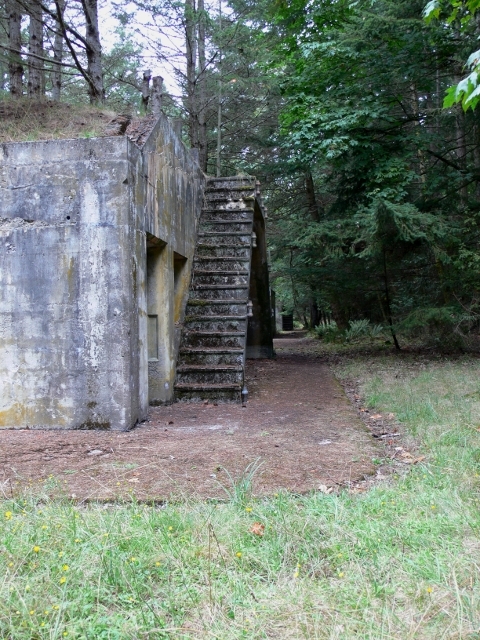 The three heavy batteries at the entrance to Admiralty Inlet are perhaps the most well-known: Fort Worden near Port Townsend, Fort Flagler on Marrowstone Island and Fort Casey, midway along the west shore of Whidbey Island. Middle Point (now Manchester State Park) and Fort Ward, also popular destinations on opposite sides of Rich Passage, provided extra protection for the naval shipyard. (Map of area). 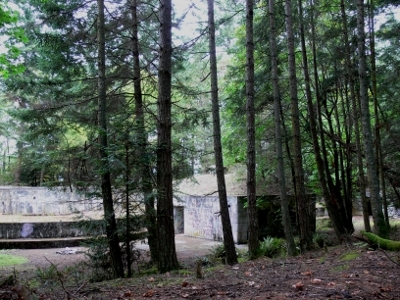 The sixth fortification, Fort Whitman on Goat Island in Skagit Bay, guarded the entrance to Puget Sound through Deception Pass and along the east shore of Whidbey Island. 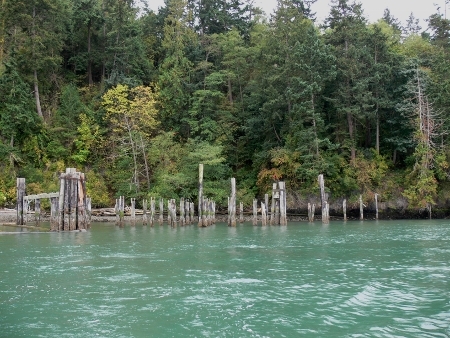 Goat Island is part of the Skagit Wildlife Area rather than a state park, and further differs from the others in being accessible only by water. The fort also is relatively unknown, despite the thousands of boaters that pass close by each year en route through Swinomish Channel. Fort Whitman, like many batteries of the period, is completely invisible from the water. Even though we’ve been ashore there, when we passed Goat Island on our way to and from TrawlerFest in Anacortes last weekend, we could see no evidence of the fort. 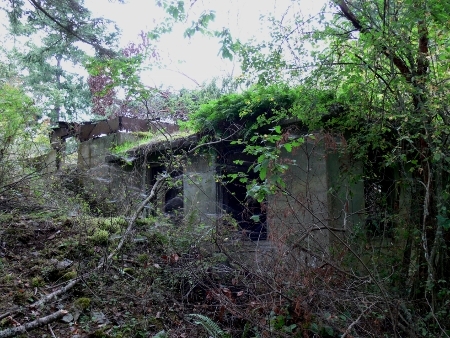 The only clue to its existence is the decaying dock along the north side of the island. 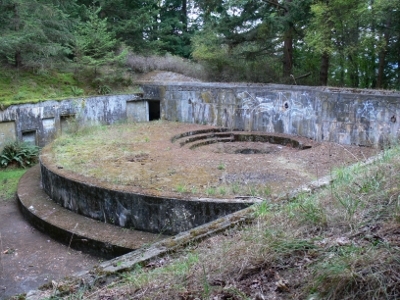 The Battery Harrison gun emplacement, with mounts for four six-inch disappearing guns and supporting buildings, form the majority of the fort. 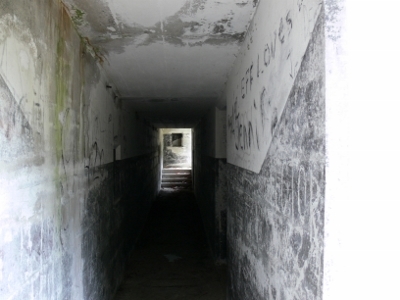 When we last visited in 2007, the battery was in good condition, with relatively little graffiti compared to some others we’ve seen. Even though we were expecting the battery, it’s a bit of a shock to find such huge infrastructure tucked away in the woods out of sight. The remains of a mine field control and observation post are down the road beyond the battery, on the western tip of the island. They were more overgrown than the battery. 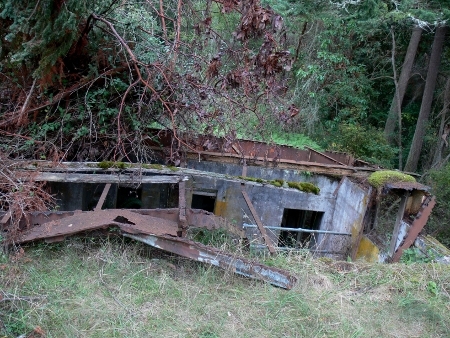 If you go: It’s an easy dinghy ride or paddle from the Deception Pass area to visit Fort Whitman. The trail to the fort starts along the north shore, behind and about halfway along the dock. The trail head is difficult to spot from the water, but was reasonably obvious once we were ashore. When we were last there, a log was strapped straight up onto another one at the trail head. The going is steep for a short distance, then becomes wide and easy when the trail joins the road to the fort. Great story–thanks for sharing it. Harold must have been most disconcerted at seeing that shot land in his vessel’s stack rather than hitting the target behind the boat. 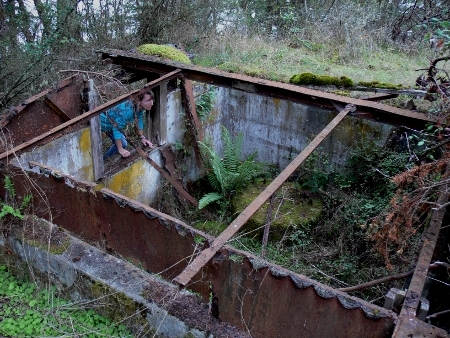 The Puget Sound forts are a great piece of coastal history. We got interested in them one summer and made sure to visit all of the ones mentioned in our blog post. 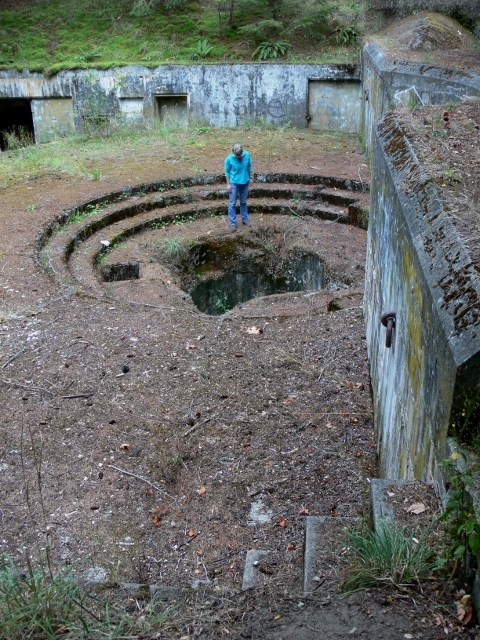 The one you mention at Fort Worden near Port Townsend is particularly impressive. The facility is just massive and, like Fort Whitman, completely invisible from the water. 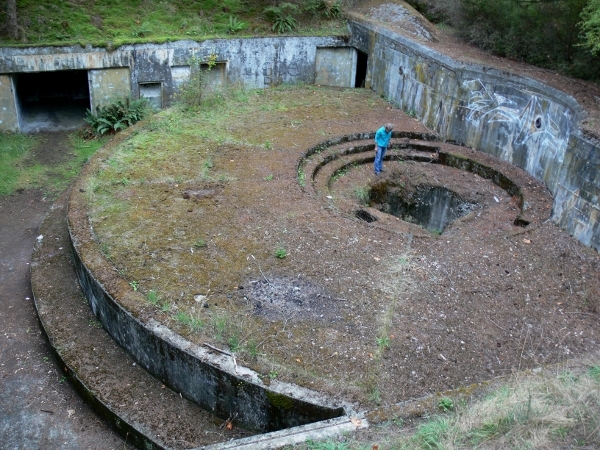 A few years ago I visited the ruins of one of these coastal gun sites just north of Port Townsend. It brought to mind the 1960s. A client of my banking institution, Seattle Trust and Savings Bank, whose name was Harold Duncanson — a well-known person who resided on Puget Sound waterfront — approached my desk; our first connection was a Ralph Anderson,AIA designed medical office building to be built for his son, Neal Duncason,MD and other physicians. I soon was able to faciltate the project’s construction loan arrangements and long-term loan commitment, and Harold served as "clerk of the works" for the doctors. Harold, during our activities together, told me this story: when he was a student in college locally, he entered some kind of naval related program — to defend Puget Sound’s coastline — sometime before World War II. Part of his training was to be an acting gun captain at one of the forts being discussed here. I can only recall now that at that moment we were discussing the fort near Fort Worden’s shoreline. On the first field training day in question when Harold was to sight, i.e., aim the emplacement’s gun at a moving target being towed well behind a vessel used for that purpose, he gave the order to "fire", and the shot pierced the stack of the vessel instead of hitting the towed target. Harold said he was immediately relieved of his command, but he had learned a valuable lesson. He made good use of that experienced misstep in his youth to apply it to future projects; he would throughout his professional life check every calculation twice, and double check every measurement he made. In later projects we did together, I always knew I could rely fully on him to perform correctly. That would make a great camp: secluded, lots of open space, and shelter if you need it. You and your friends took good care of the place–it certainly doesn’t look like a group of teenagers hung out there. 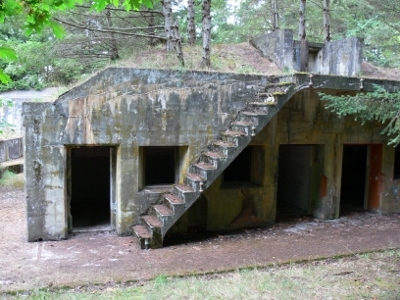 When I was in High School in LaConner (59-63)we used to go out to the Fort and camp overnight in the old bunkers. Great place to do things and not get in trouble. The area where the dock is should be fine for you to land. If you are worried about wakes from passing boats, you could anchor behind the breakwater that extends from the east end of the island, but you’d need to pay attention to the tides as that area does dry. Then you could paddle around the south and west sides to reach the dock. Alternatively, there is a small beach on the west tip (it was marked with lots of blazes last time we were there) where you could land and climb straight up to find the observation post. We did that on our first landing as we couldn’t find the trailhead behind the dock from the water. Interesting, I never knew about this and I’ve been by Goat Island many times. I do have a question about landing there. I’ve got a 22 foot boat that only draws 8 inches of water. Do you think I could get in there on it? My biggest concerns are getting stranded on a falling tide (preventable) or having passing boats and their wakes cause damage. Alternately, any good places to anchor a short distance away? I’d be rowing in an inflatable so the shorter the distance the better. Fort Whitman looks similar to the installations where I am on Casco Bay, Portland, Maine. The government must have had stock plans for forts, because Whitman is eerily like Ft Preble (built 1908 then updated repeatedly) and Ft Williams (mostly built between 1900-1911) some 3,000 east.